A week may be a long time in politics: but the 4½-month period between late-June and mid-November seems to have gone by in a flash. 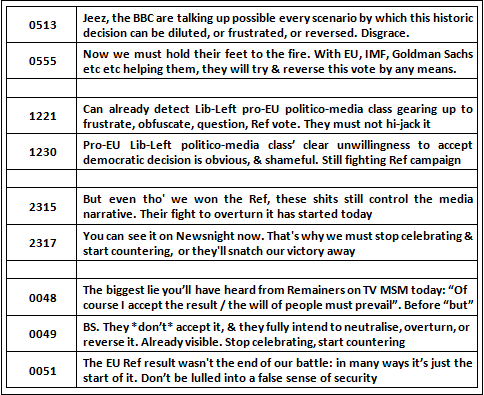 Because, between the aftermaths of the two political earthquakes represented by the UK electorate’s vote for Brexit on 23rd June and the US electorate’s vote for Trump on 8th November, the chorus of Left-‘Liberal’ anger, objection, complaint and condemnation has been both continuous in frequency and unchanging in content. A word on semantics. I habitually use “Left-‘Liberal'” for two reasons: the “Left” to distinguish it from the Classical-Liberalism to which it now bears hardly any relation, and the quotes around ‘Liberal’ to convey that its truly ‘liberal’ components are harder to detect. In US, and increasingly now in UK, usage, ‘Liberal’ actually means Left-‘Liberal’: so the remainder of this piece will use it as such. ‘Liberal’ opinion would always have been anti-Brexit. It prefers unaccountable, democracy-bypassing supranational institutions to the democratic sovereign nation-state: it favours unfettered immigration rather than even mildly-controlled borders: it supports elites-benefiting crony-corporatism over genuinely competitive markets: and it would rather single-regulatory-area trading blocs than free trade. 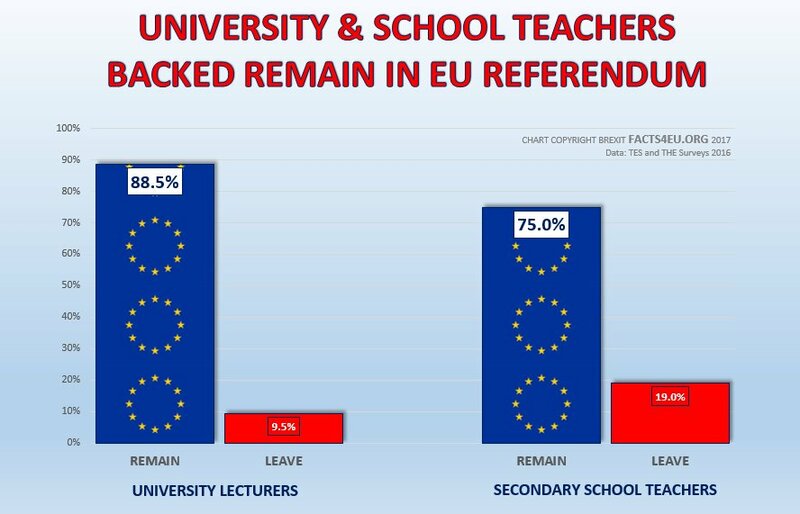 ‘Liberal’-elite received-opinion, anti nation-state and globalist, overwhelmingly informed the anti-Brexit argument. It was all-pervasive, from Government through the plethora of acronymed organisations to the Remain campaign itself, and all echoed faithfully by their largely equally-‘Liberal’ media amen-corner. 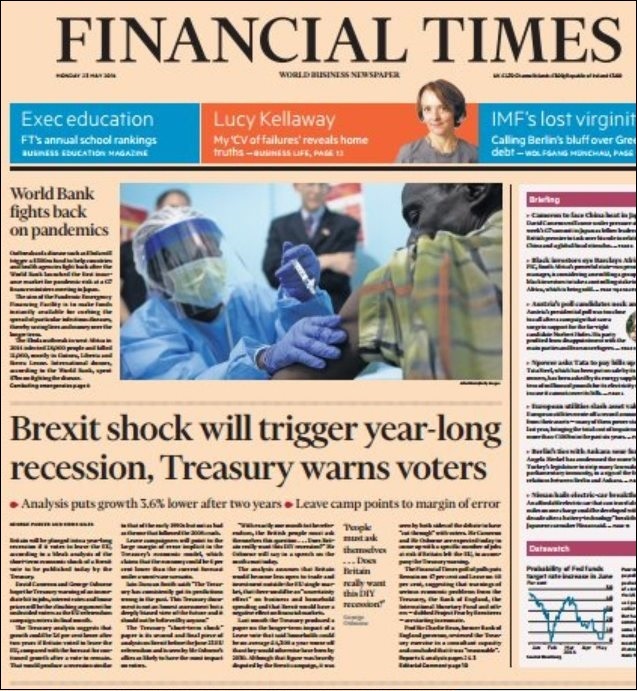 So its palpably-traumatic shock when 52% of Referendum voters ignored or rejected its pro-EU exhortations, scaremongering and pressure, and voted instead to Leave, was at least predictable. Less predictable, however – although, as we’ll see, perhaps not entirely – was the volume and tenor of the vilification heaped on the 52% who had shown the temerity to ignore the instructions of their self-assumed intellectual and cultural superiors, and vote instead for economic and political self-determination. They were not merely wrong, ran the ‘Liberal’ narrative, disseminated via innumerable furious and vitriolic denunciations in the visual, print and online media. They, especially the swathes of working and middle-class voters outside the M25 who voted Leave in droves, had voted the way they had because they were perverse, racist (pick any “-ist” you like, really), ignorant, xenophobic, and – favourite of all – “uneducated”. 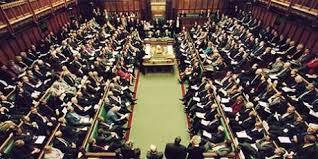 The Referendum, they argued, should be ignored, and the question re-put. Moving from the particular to the general, democracy itself was soon identified and duly arraigned as the alternative culprit. 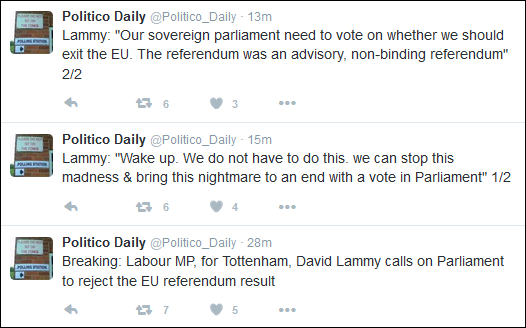 The Referendum wasn’t even about EU membership at all, it was claimed, but about something else entirely. So Cameron, went this theme, had been wrong to concede something so unpredictable as a referendum at all: the arguments were too complex for the great majority of the voting public to understand, let alone decide on: why, perhaps even mass democracy itself was a flawed concept, seeing that at least half of the voters were plainly cerebrally-challenged, and manifestly too ill-equipped intellectually to participate in it. Many were surprised by the unabashedly-articulated virulence. 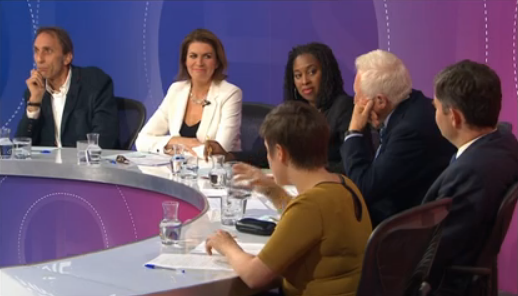 But not all – more astute commentators noted that the reaction was more a case of the mask slipping. The reflex was new, not in substance, but only in the extent to which ‘Liberal’ opinion no longer felt any constraint or reluctance about expressing it so clearly and openly. The philosopher Roger Scruton deploys what I still consider by far the most descriptive term for the phenomenon of mainly metropolitan ‘Liberals’ consumed by contempt for the nation & its white working and middle classes. 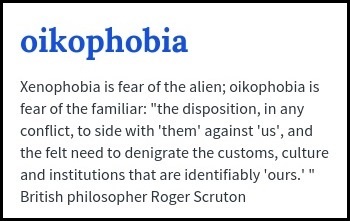 He calls it Oikophobia, from the Greek oikos, meaning home: a repudiation and irrational fear of, even hatred of, one’s own nation, heritage, traditional culture and people. That rampant ‘Liberal’ oikophobia, aimed at the Brexit-voting classes, whatever their socio-economic status and irrespective of their reasons, has scarcely diminished since its post-23/6 eruption. 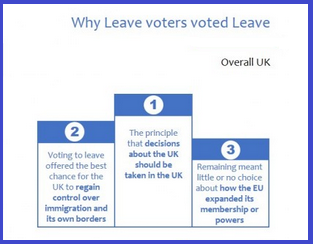 In vain do its targets point out that, far from being a vote by the allegedly prejudiced, hatred-filled, “xenophobic”, “uneducated” mob, 53% of those voting Leave gave as their reasons the fundamental issue of sovereignty and democracy: the principle – clearly anathema to sophisticated ‘Liberals’ – that decisions about the UK should be taken by, and in, the UK. 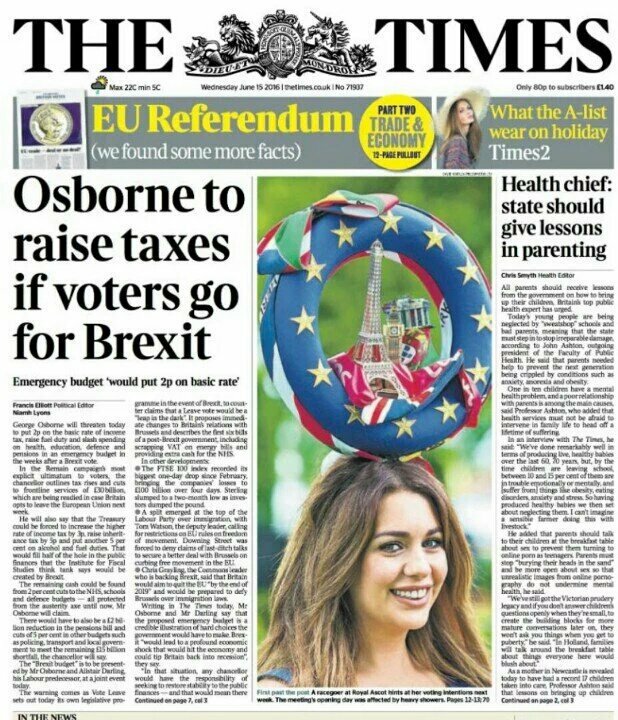 As a usually very non-political friend put it to me: “I voted Leave because I want my kids to grow up and live in a society where the taxes they have to pay, and the laws they have to obey, are decided by, and only by, politicians who they can elect and throw out, and by no-one else“. 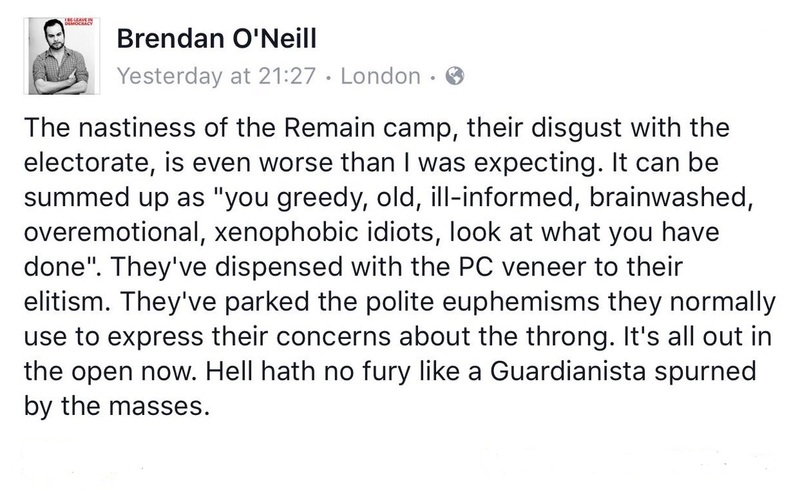 It’s hard to better this as a simple summary of the Brexit case, and I’ve unashamedly borrowed it: but apparently it establishes beyond doubt millions’ racism, xenophobia, hatred, lack of sophistication, stupidity, and every other conceivable moral failing sufficient to consign them in ‘Liberal’ opinion to beyond the Pale of respectable society. Then, just one week ago, a second cruise missile tore into the ‘Liberal’ citadel and detonated. Confounding the instructions, predictions (and, let’s face it, the heartfelt desires) of virtually every TV outlet, pollster, psephologist, media-pundit and cultural-commentariat apparatchik in the USA and beyond, the American voting system spurned the robotic, compromised, shop-soiled doyenne of the politically-corrrect, globalist ‘Liberal’ Establishment in favour of its ultimate ogre, Donald Trump. ‘Liberal’ opinion reeled in shock, denial, anger, and then exploded in incandescent almost hysterical, fury. 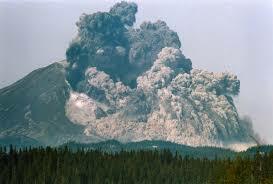 To borrow a metaphor from volcanology: if Brexit 23/6 was the 20 March 1980 earthquake that created the bulge of sub-surface magma, visibly growing daily, on the north side of Washington State’s Mount St Helens, then Trump 8/11 was the 18 May 1980 rapid-succession earthquake, landslide and lateral blast that blew it apart and triggered the volcano’s eruption. The ensuing pyroclastic flow of ‘Liberal’ rage, frustration, hatred, bile, vituperation and contempt for the voters who delivered the dual earthquakes has both intensified and continued ever since, and it shows no sign of abating. Just as in its post-Brexit phase, disparagement, firstly of the electorate and then secondly of democracy itself, are ‘Liberal’ opinion’s both default reactions and predominant responses. Voters went for Trump, ‘Liberals’ insist, because they share his alleged misogyny (overlooking that 53% of white women voters and 43% of all women voters voted for him, and that among women without a college degree, he was 20% ahead). The vote for Trump was an outpouring of latent white racism and xenophobia, they declare (ignoring that Trump garnered only 1% more of the white vote, but 2% more of the Hispanic vote, than Romney in 2012: that he attracted more Afro-American votes than Romney in 2012: and that whites voted for Obama in record numbers in both 2008 and 2012). The traditionally Democratic-voting working class in the battleground Rustbelt states broke for Trump, ‘Liberals’ informed us, because they were, above all, “low-information” (currently the en-vogue euphemism de choix for “thick”). Whatever happened to ‘Liberal’ concern for the economically-disadvantaged and the mission to improve their educational opportunities? 61 million Americans voted for Trump, The Guardian’s Jonathan Freedland implied, because they share his complete abrogation of any moral values. That a working-class man in Michigan or Wisconsin, job constantly at risk, no pay raise in 6 years and family home just re-possessed, might not regard transgender bathrooms as a first priority, seems not to have occurred to him. Perhaps it really was about the economy, stupid. Predictably, perhaps, in view of his meltdown on BBC Question Time earlier this year, the historian Simon Schama positively dripped with metropolitan-‘Liberal’ condescension & contempt. Those with a different view to his, let us note, are not merely political opponents, but “sweaty agitation”, inclined to “nativist populism”, and, worst of all, are “people who don’t read broadsheets”. The horror. So what conclusions can we draw from this near-visceral outpouring of ‘Liberal’ bile directed at those impudent enough to hold a contrary view? 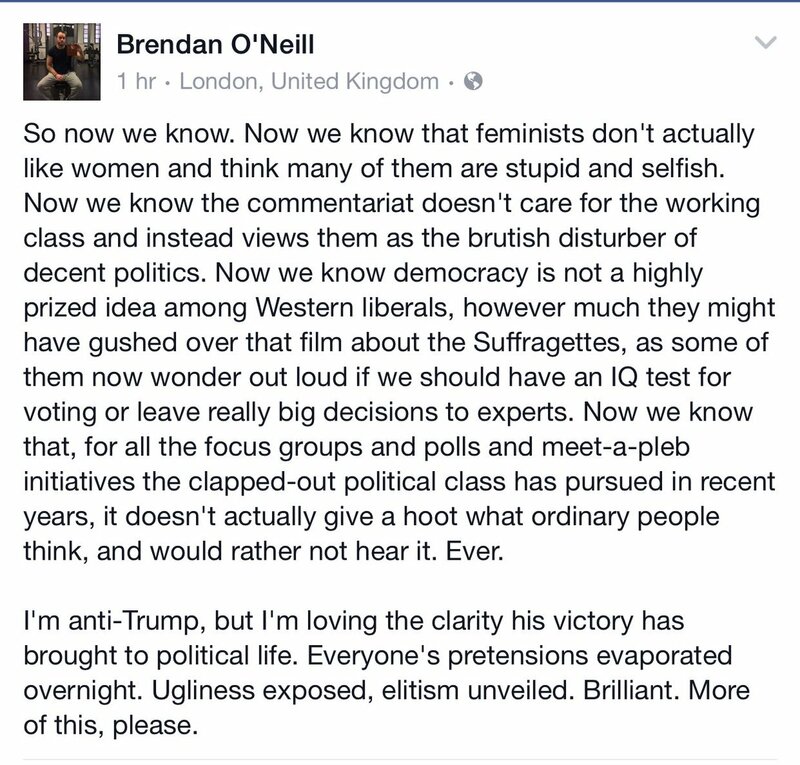 Spiked!’s Brendan O’Neill, again, put it well in a Facebook post yesterday, and the next three paragraphs draw from it. We’ve learned that many ‘Liberal’, Democratic-voting “feminists” actively dislike to the point of vilification any women who hold an opinion different to their own, and think moreover that the 43% of them who voted for Trump must by definition be stupid and selfish, without even bothering to consider what their reasons might be. We’ve learned that the ‘Liberal’ media-commentariat doesn’t after all have a high regard for the working and middle classes, but instead positively reviles them as backward, unsophisticated, “low-information” disrupters of its own preferred model of an anodyne, “civilised” consensus-politics, deracinated of any substantive ideological difference. We’ve learned that even democracy itself is something that ‘Liberals’ don’t value highly when it delivers verdicts outside their acceptable range of outcomes: so much so that some are openly discussing the presumed necessity of political-IQ tests for voting, or if not, reserving big decisions exclusively for “experts”. And finally, as Melanie Phillips put it so aptly in The Times yesterday, we’re seeing the grotesque spectacle of ‘Liberals’ weeping over the supposed demise of democracy from its inherent deficiencies, even as they simultaneously dismiss half the population as too stupid and unfit to participate in it, and speculate on ways of excluding them. For the ‘Liberal’ globalist order, Trump after Brexit presages an existential crisis. After the Brexit vote, its repudiation by 17.4 million UK voters might have been dismissed as a one-off: but not after Trump. The rebellion against ‘Liberalism’s 30-year hegemony is growing. Next year sees elections in France, Germany and The Netherlands, with parties opposed to the ‘Liberal’ globalist order poised to make substantial gains. ‘Liberals’ therefore have to fight back, and the current deluge of Oikophobia is just the start. Where we are with this is quite bad enough: but where we could be headed is chilling. Writing in Foreign Policy magazine, Jason Brennan, author of “Against Democracy”, condemns the assumed inseparability of mass democracy and voter ignorance. There is, he says, “no real solution to the problem of political ignorance, unless we are willing to break with democratic politics”, arguing instead for an epistocracy, a kind of “aristocracy of the wise”, where experts can determine political policy for those of us who are too “low-information” to have a say in them ourselves. 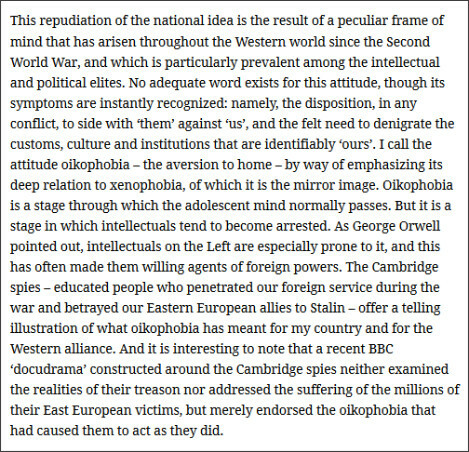 This too, like Oikophobia itself, has an unlovely provenance: taking us back, by inference, towards the eugenics whose possibilities fascinated Wells, Shaw, the Webbs, and the early Fabians, concerned to address the adverse societal implications of “feeble-minded” people, but this time transferred from the restricted area of welfare-entitlement to nothing less than the political-participatory process itself. ‘Liberal’ Oikophobia in isolation is unpleasant, and illiberal, but rarely more. 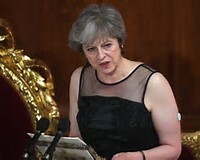 Unleashed, and combined with a resentment at the outcomes of mass democracy whose perceived solution is mass democracy’s delegitimisation, however, it constitutes a far greater threat than does any consequence of a Trump presidency or an EU-exiting Britain. It has to be countered.